Today was a very summery day, so I decided to make a summer meal. We pulled the wee BBQ out from hibernation, cleaned it off, and sparked it up. 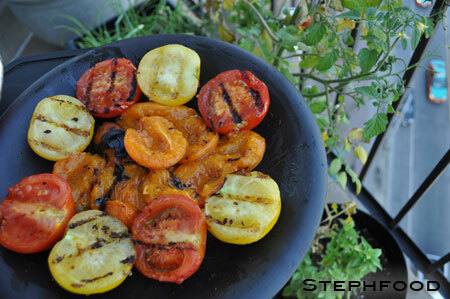 I didn’t realize how much I missed grilled vegetables until we started eating… somehow everything tastes better grilled. Today’s meal was not unusual for us – I think I went a little overboard making orzo salads in the last couple of summers. I thought J might never want to see an orzo again, but luckily the winter was enough of a break for him. 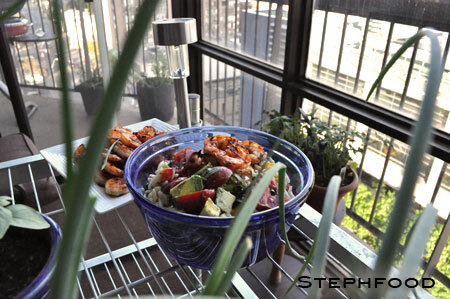 This orzo salad starred some simple grilled vegetables, some nicely spiced grilled shrimps, and an assortment of fresh herbs from my garden. This dish doesn’t have to be complicated. For once, I didn’t mix a handful of spices together or carefully follow a recipe step-by-step to make sure I didn’t mess it up. This is less like science, and more like art. You take what you like, and toss it! 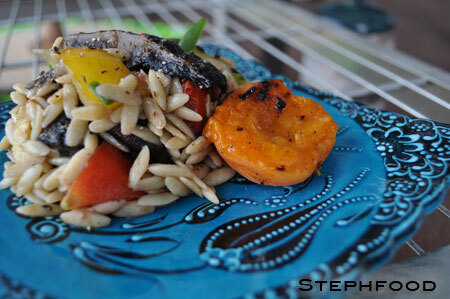 Over the course of the summer, I will be featuring a number of different orzo salads. I already know what my next one will be… Hopefully I’ll also find some other fun grain or legume salads. That’s something I’m missing from my database o’ fun. My new thing is to mix chopped tomatoes and avocadoes and put it on top of a dish. It adds colour and freshness that I really like. I also finished the dish with a salt lightly smoked in wood from Chardonnay barrels. I forget what it’s called, but it is subtle and sooo good. Toss the vegetables in a bit of oil. (I use an oil sprayer to lightly coat them). 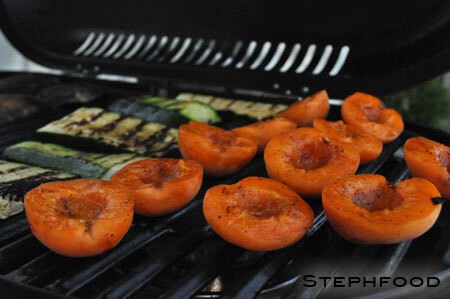 Grill until the vegetables are cooked through, and have nice grill marks. Take off the grill, allow to cool, and chop coarsely. Toss the shrimp in a bit of oil (again, I use the sprayer for this), and the paprika and cayenne. 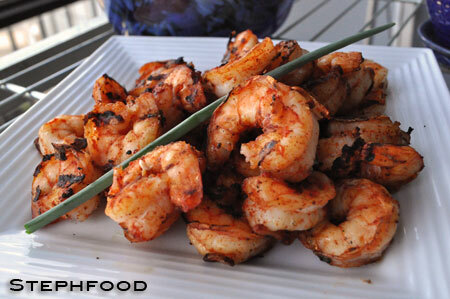 Put the shrimp on the grill, and grill until cooked through and have nice grill marks (only a couple minutes on each side). 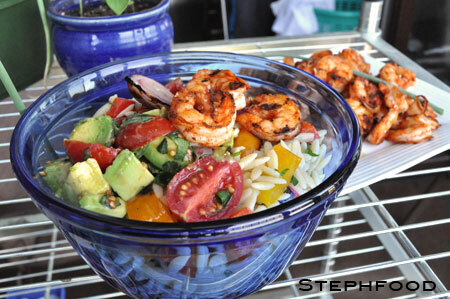 In a large bowl, toss the chopped grilled veggies, shrimp, chopped garlic and chopped herbs with the cooked orzo. In a smaller bowl, whisk together 4Tbsp of the olive oil with the apple cider vinegar. Add to the salad and toss. Season with salt & pepper, plate the salad and top with the chopped tomatoes and avocado.